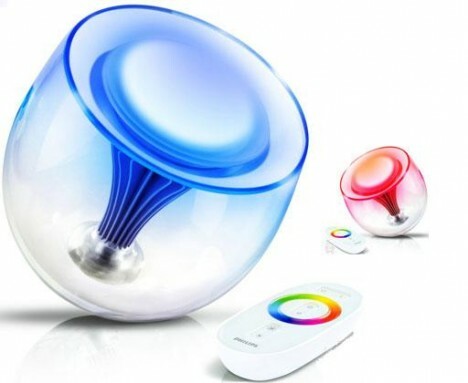 Philips has come out with innovative LivingColors which is an innovative form of home lighting. By pressing a button on touch sensitive remote control, you can choose different lighting effects that match your mode and suit every occasion from infinite number of colours. LivingColors contains four light-emitting diodes (LEDs) which can be increased, reduced, brightened or dimmed to produce a total of 16 million different colours. Those looking for a complete lighting effect can opt to connect up to six devices at a time off the one remote allowing you to change the “mood” in seconds with greater flexibility.